Here at EndLayer, we proudly operate on a SoftLayer network and house our client servers in state-of-the-art SoftLayer data centers. Why did we pick SoftLayer, you ask? Why not a more well-known platform like Amazon or Microsoft? Let us explain. Amazon and other large-scale hosting companies like Microsoft operate on commodity server hardware, using consumer-class drives that aren’t designed for heavy workloads. EC2 (Amazon) and Azure (Microsoft) products are designed to reduce costs for smaller-scale websites – not handle big e-commerce projects. SoftLayer is a different story. The SoftLayer infrastructure is designed for heavy functionality, using SAN and enterprise-class disks that support huge amounts of data. Amazon builds their own hardware in-house, but SoftLayer uses true enterprise-class hardware backed by a leading brand (Supermicro). SoftLayer offers more power, more storage and more functionality than Amazon – so that’s the platform we’ve picked. 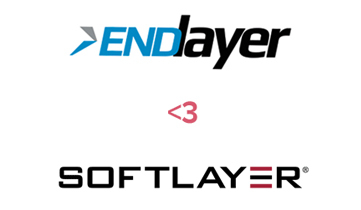 We’re not going to lie and say that SoftLayer never goes down. But the SoftLayer network is definitely more simple and resilient than Amazon – and that means our outages are shorter, less serious, and limited to much smaller customer subsets. Data centers. Where in the world are Amazon’s data centers? Nobody knows, because Amazon uses “availability centers” like US-East or US-West. From our testing, routes to East/West on Amazon's infrastructure often take the same amount of time, resulting in no benefit for instance placement (for instance, it’s no quicker to access a server in Amazon's VA data centers than it is to access their CA data centers). Network design. Amazon offers limited functionality between their data centers – creating clumsy, bulky cross-connection solutions. SoftLayer? Ah, that’s a different story. SoftLayer’s enterprise-class, resilient network design features multiple networks connected to each server - public, private and out of band. Private networking allows for easy transfer of data between all data centers, and out of band handles dedicated tasks like rebooting and KVM. In a nutshell, that’s why we prefer SoftLayer to Amazon. And we think you will, too. For more on managed hosting and data centers, read our articles here.